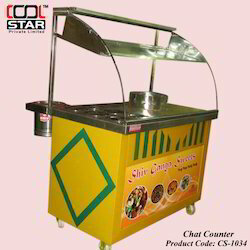 Cool Star Tikki / Chat Counter are made gi covering & steel top by high grade quality materials . Cool Star Chat Counter are highly appreciated for their unique features. Cool Star Tikki / Chat Counter are heavy in weight and can be easily transported from one place to another. 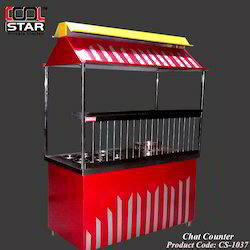 Cool Star Tikki / Chat Counter are available as per requirements. Cool Star Tikki / Chat Counter are very easy to use and the maintenance cost is very low. We are among the leading manufacturers and suppliers of optimum quality Chat Counter. 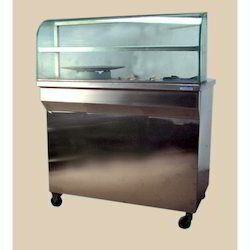 The offered counters are used in several food courts, canteens and food stalls. Available with us at highly affordable prices, these counters can be customized as per the requirements of our valuable customers. Offered counters are known for optimal surface finish. Looking for Chat Counter gi ss ?